If I had the choice of choosing my final meal before going to that big kitchen in the sky (god I hope it’s bigger than a Brooklyn kitchen or God has one twisted sense of humor) I think it would end with Creme Brulee. Easily my favorite dessert, yet one that I don’t have too often. 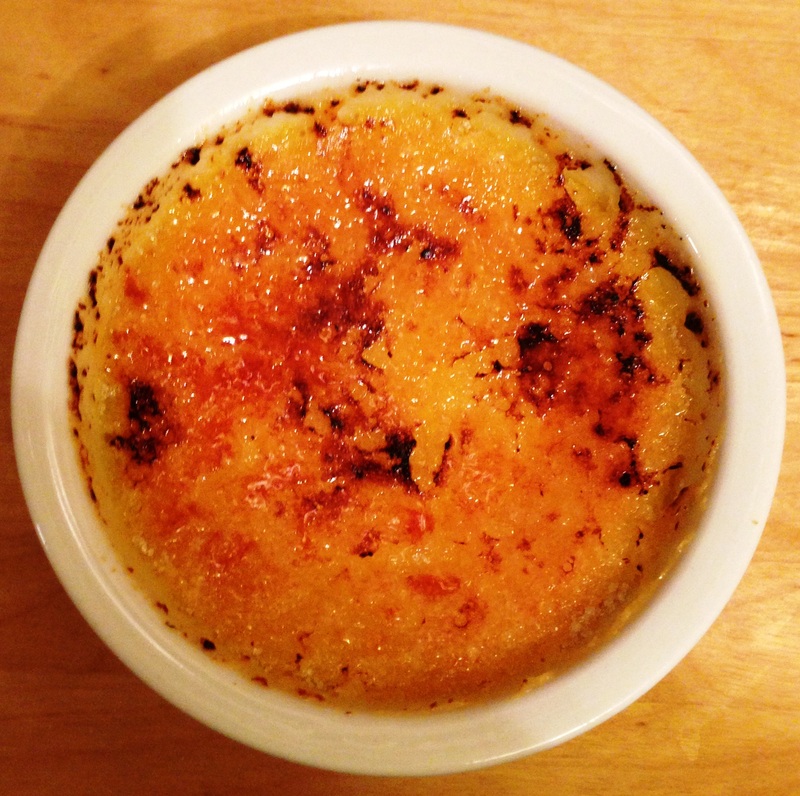 I’ve had my overwhelming share of bad creme brulees–burned, too dense, strange texture. One time the chef didn’t even bother to brulee it! To me it looked (and tasted) like a dense custard with way too much granulated sugar, but to them it was creme brulee. I won’t point any fingers at the guilty party, but let’s just say it wasn’t exactly a diner.